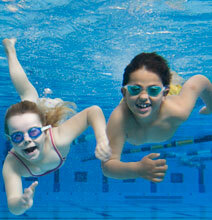 Each school holidays Funfitness Swim School conduct Intensive Learn to Swim Programs and Clinics. Our Intensive Programs run for 5 consecutive days with children attending one 30 minute lesson each day. These are a great way to achieve fast results in confidence and swimming skills. Clinics are also held specialising in learning to dive and tumble turns. Contact us for dates and details of upcoming programs. You do not have to be enrolled in our Term Program to register for our Holiday Intensive Swim Program. Please download our pdf brochure for detail on swimming levels.